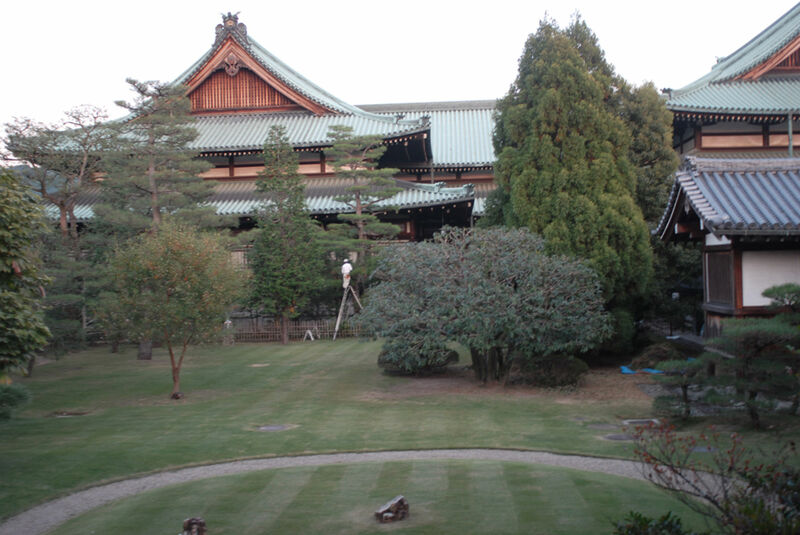 A visit to the headquarters of Tenrikyo in Tenri (in Nara ken, I think) in early November. I'd been before at this time of year, and was hoping to see the gardeners in action. The red pines at the front had already been pruned, but sure enough, they were pruning the tall trees behind the main buildings. 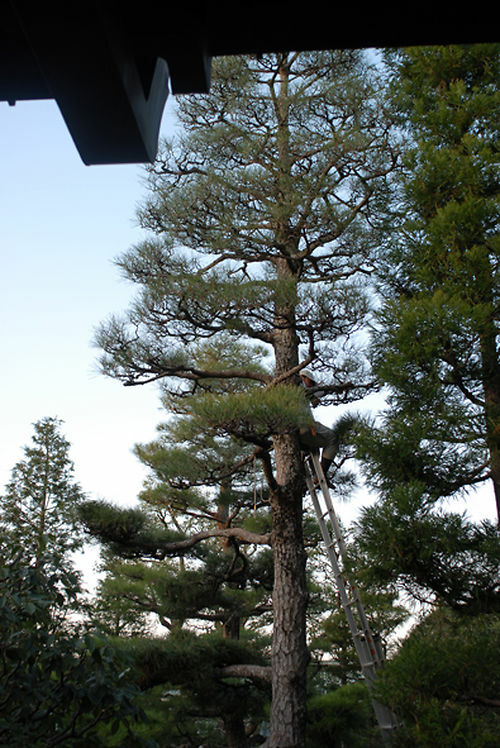 Pines, Chamaecyparis and Cryptomeria, too tall for ladders, so climbing was the order of the day. 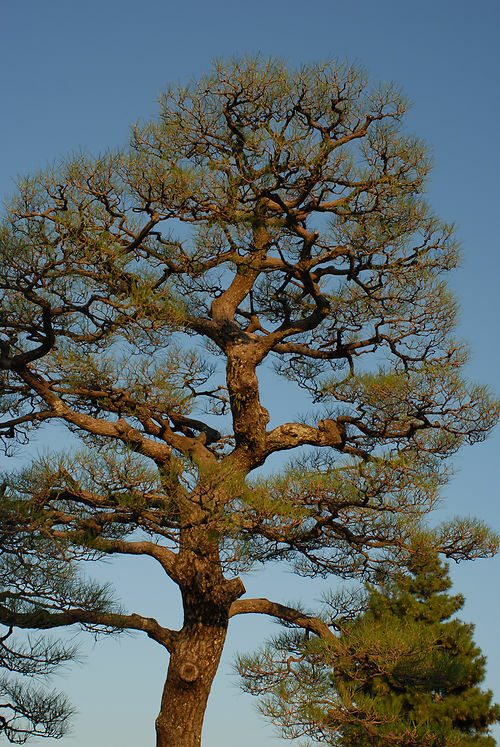 (Above) These trees are just hidden behind the Cryptomeria on the right below, but are the same size as the pine in the middle. You can see how the top half of the tree has been thinned, and just see the guy sitting on a branch with one leg on the ladder.